HAPPY BUDDHA with hands over his head holding a gold ingot brings wealth, abundance and prosperity. 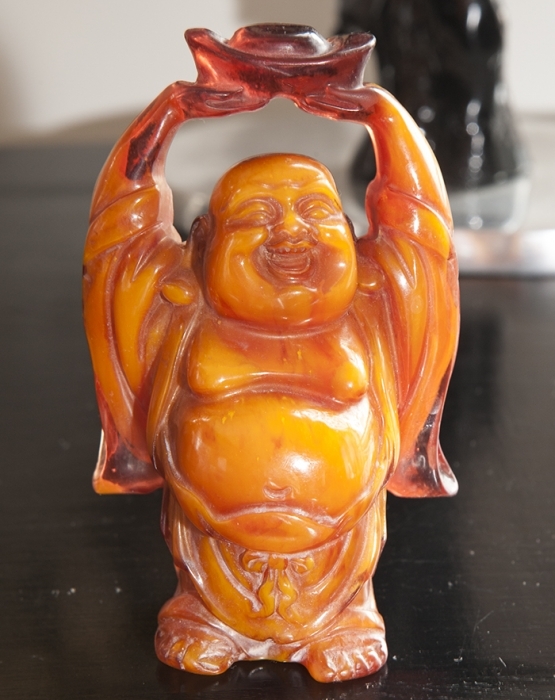 Years ago in Shanghai I saw a yellow Buddha just like these and from that moment I searched to find similar pieces for the Good Karma Shop. 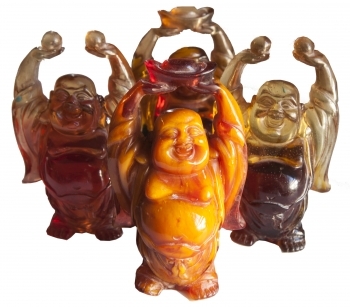 Direct from Tibet, these funky resin pieces are perfect representations. 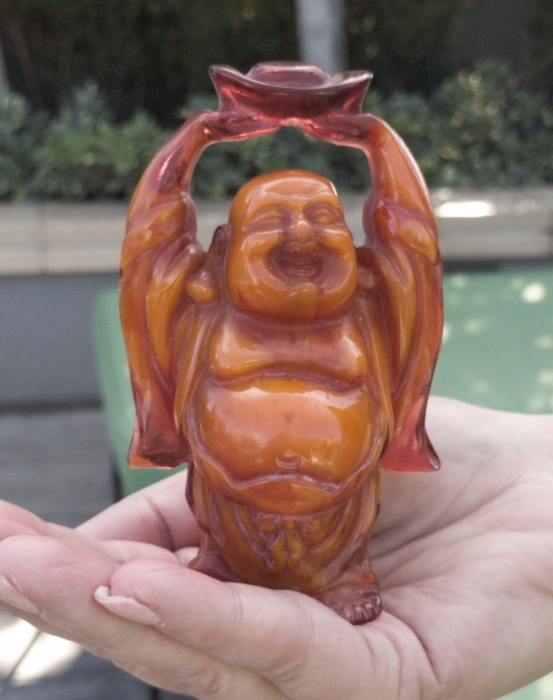 I also found Happy Buddhas holding two balls above their head and this means he is holding your happiness. Sometimes you just need a little kooky Buddha and that's what these pieces are all about.